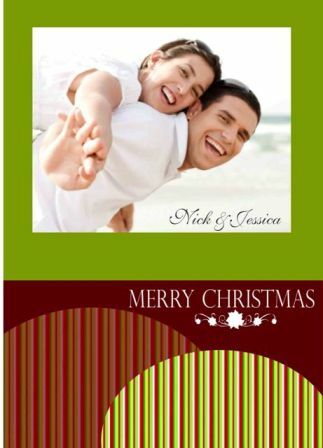 I used a designer ribbon from WRMK for the three lines and for the small bow. I adhered a pearl on top of the bow for a more "classy" feel. 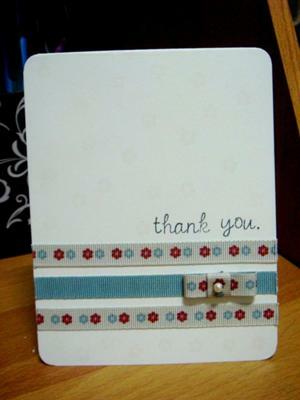 I stamped "thank you" in black using Studio G alphabet stamps. It's not exactly visible but I also stamped small flowers (very close to the shape of the flowers on the ribbon) using Versa Mark (watermark) pad. I chomped the four corners as well. If you loved this card idea from Mai, be sure to visit Mai's blog, Publicly Private, for more of her gorgeous projects which include lots of paper crafting. ;) Enjoy! Oooh, another ribbon addict like me! I love ribbons too and this is a nice idea to use the ribbon stash I've been keeping for a looooooooong time!